More powerful shipboard lasers, which could become ready for installation in subsequent years, could provide Navy surface ships with an ability to counter a wider range of surface and air targets at ranges of up to about 10 miles. These more powerful lasers might, among other things, provide Navy surface ships with a terminal-defense capability against certain ballistic missiles, including China’s new anti-ship ballistic missile (ASBM). The Navy and DOD have conducted development work on three principal types of lasers for potential use on Navy surface ships—fiber solid state lasers (SSLs), slab SSLs, and free electron lasers (FELs). One fiber SSL prototype demonstrator developed by the Navy is the Laser Weapon System (LaWS); another Navy fiber SSL effort is called the Tactical Laser System (TLS). 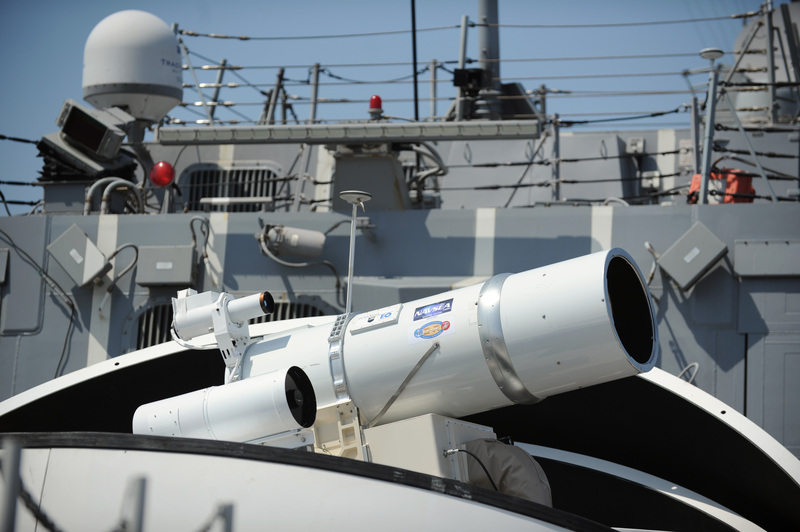 Among DOD’s multiple efforts to develop slab SSLs for military use was the Maritime Laser Demonstration (MLD), a prototype laser weapon developed as a rapid demonstration project. The Navy has developed a lower-power FEL prototype and is now developing a prototype with scaled-up power. These lasers differ in terms of their relative merits as potential shipboard weapons. • the potential implications of shipboard lasers for the design and acquisition of Navy ships, including the Flight III DDG-51 destroyer that the Navy wants to begin procuring in FY2016.